You won’t be trapped by the weather when you use the snow removal services from SEAL PRO ASPHALT MAINTENANCE in Leamington, Windsor, Essex County, Ontario. We provide a multitude of services including snow plowing, shoveling, snow blowing, and snow clearing in Windsor, ON. Our services are ideal for everything from retirement homes and private properties to municipal, agricultural, and industrial businesses. We offer a pay-per-push as well as monthly contracts. We also offer a blacktop service where we will keep it always black. In addition, we offer salting services. Contact us in Windsor, Ontario, for more details. People depend on your business. Don’t let the snow keep you from doing what you do best. At SEAL PRO ASPHALT MAINTENANCE, we make it easier to maintain the safe and accessible condition of your property. We are your source for commercial snow removal in Windsor, ON. With our skill and experience your roads, lots, and pathways will stay in great shape. Safety: Blocked roads and pathways are hazardous. Taking out the snow keeps your pavement clear and accessible, ensuring vehicles and pedestrians can get to their destinations safely. Property Protection: Snow and moisture damage pavement, which may ultimately drive up business costs due to repair or replacement projects. Promptly removing snowfall helps to support the longevity of your roads and sidewalks. Peace of Mind: Our team has the equipment and skill to remove snow quickly and efficiently. We handle the hard work, ensuring you or your employees don’t have to risk injuries--or waste valuable storage space and resources for removal gear. 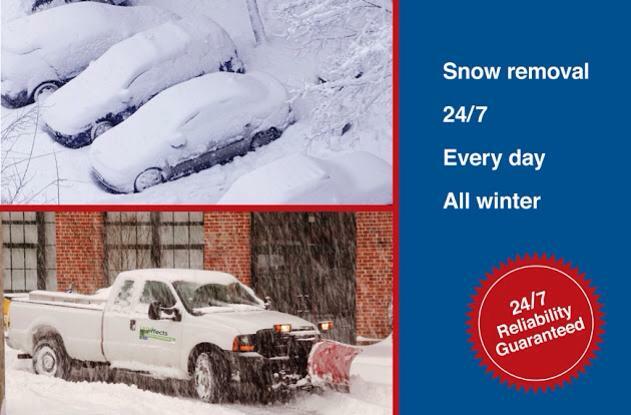 Hire a commercial snow removal team that is dedicated to your complete satisfaction. Our team is committed to getting the results you want--and all according to your schedule. We use heavy-duty equipment, and our operators are highly trained and experienced. There is no job too big or complex for us. From snow plowing to shovelling, we do it all. Our team is available 24 hours a day, 7 days a week. On top of that, we conduct removal services throughout the winter! Don’t forget: we are also available for asphalt maintenance and pavement restoration. So, if the weather has gotten the better of your parking lot, pathways, or roads, we’re ready to lend a hand. Contact us to request an estimate for snow removal, plowing, and shovelling services. Our company is based in Essex, ON, and we serve Leamington, Windsor, and the surrounding area. Contact us in Leamington, Windsor, Essex County, Ontario, to learn more about snow removal.